The recent Commons debate on the Great Western Railway routes highlighted the enormous disparity between infrastructure investment in the regions and HS2. The latest gross cost for HS2, including Barnett formula payments, is £61.3bn. This means that the contribution from taxpayers across the region’s 22 parliamentary constituencies will be just over £2bn. 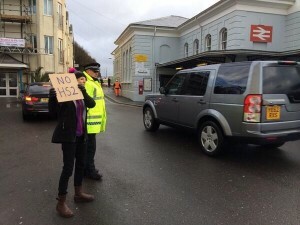 Even the most fervent supporters of HS2 will be hard pressed to say what the taxpayers of Cornwall, Devon and Somerset will get for their money. Indeed, it is not just a case of missing out on the benefits of HS2. A government-funded report published by consultants KPMG in September, 2013 forecast that some local economies would actually be worse off. The Cornish economy would decline by £19.5m; Plymouth and Exeter by £21.5m; and the rest of Devon by £52.0m. To ask Her Majesty’s Government how much public money has been spent on HS2 to date; how much is estimated to be spent in the next financial year; what is the estimated final cost to the public purse; and what is the projected completion date. To date (2009/10 – Dec 2015) the government has spent £1.4bn on the HS2 programme. The Department for Transport and HS2 Ltd are currently in the process of finalising their estimates for the next financial year (2016/17). The 2015 Spending Review reconfirmed the Government’s commitment to a long-term funding envelope for delivering the HS2 programme at £55.7bn in 2015 prices. Phase One and Phase 2a are scheduled to be complete by 2026 and the remainder of Phase Two is expected to be completed by 2034. Why is this madness not a national scandal?? ?